​The Irish Hills Zone of the Lutheran Women’s Missionary League will meet at its Spring Rally HERE AT HOPE, on Saturday, April 6. We’ll hear how we can help “Restore Detroit.” Watch for offering information. A Continental breakfast will be served during registration time (9:00 – 9:30 a.m.) and lunch (about Noon). The children of Hope Lutheran Church invite you to a celebrate of Jesus' birth with them on Sunday, December 23 at 6:30PM. All children are encouraged to participate. Practices will be announced. Call the church office at 517.263.4317. Come and bring friends for this extraordinary event with the exceptionally talented Cynthia Kaye Bennett and guitarist, Chris Buzzelli. An evening of Christmas Jazz! Christmas goodies will be served! In late November the Angel Tree will be set up in the church lobby. Names from the Salvation Army will be available to take and return an UNWRAPPED gift with the name attached to the bag it is in. Make sure to sign the sheet to let us know which name(s) you have taken. Go through your closets, cupboards, garages, attics, etc. and decide which items you are willing and want to part with. Bring in seasonal clothes and decorations (fall, winter, Halloween, Christmas). Items, tools, for instance, that appeal to men are always welcome. Any questions? Talk to Sharron Sheridan, 403-0065. Invite a friend or neighbor or two and join us here at Hope for an evening of food and fun. ​There will be lots of family activities. RSVP for you and your guests by September 23 by signing the sign-up sheet or calling the church office 517.263.4317. A small group Bible study held at the home of ﻿Chuck & Ruth Presley﻿ begins at 10AM each Wednesday. removal, weeding, painting, boarding up windows, etc. have questions or would like to help. Our Talent/No Talent Show and an Ice Cream Social will be held on Friday, July 13. Ice Cream will be served at 6:00 p.m. The Show begins at 6:30 p.m. If is time to think and plan your “act” now! We are hoping for lots of acts to entertain us – no talent is required! A sign-up sheet will be in the lobby soon. The Angel Tree in our lobby. Names from the Salvation Army will be available to take and return an UNWRAPPED gift with the name attached to the bag it is in. Make sure you sign the sheet to let us know which name(s) you have taken. The children of Hope Lutheran Church invite you to a celebrate of Jesus' birth with them. All children are encouraged to participate. Practices will be announced. Call the church office at 517.263.4317. This is an opportunity to focus the whole family on their spiritual growth journey. Classes for all ages are revamped, refreshed and renewed for the 2017/18 education year. 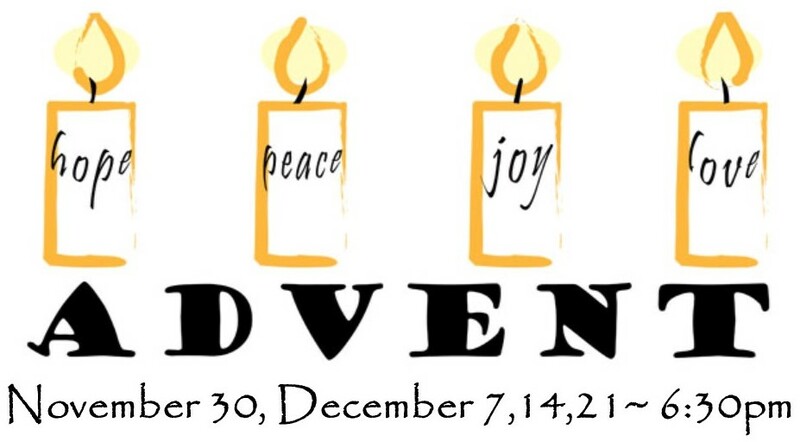 The children of Hope Lutheran Church invite you to a celebrate of Jesus' birth with them. All children are encouraged to participate. Parents: Rehearsals are December 10 & 17, 10AM-Noon. 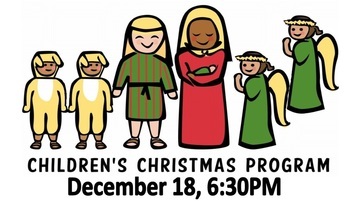 On December 18, at 6:30PM, the children of Hope will present a Christmas program. Friends, family and neighbors are invited to attend. Rehearsals are Dec. 10 & 17, 10AM-Noon. Happy Birthday, Jesus from the eyes of the children of Hope. Amid all the hustle and bustle of preparing our homes for Christmas, sometimes we lose sight of the most important preparation - our hearts. The 2016 Shoe Box Collection dates are November 14-21. Shoe boxes can be picked up at the church. Suggestions for gifts for the shoe boxes can be found here. National Youth Gathering attendees plan to meet at the Ries home on Sunday, September 18, 5-8PM for sharing highlights of the gathering, enjoying food and fun. Pointfest! Saturday, September 17. Jr. & Sr. High will be attending a rock concert in Cedar Point's Soak City parking lot. Cost is $60 and includes tickets to Cedar Point, the concert & transportation. Contact Becky Martinal at r.martinal@gmail.com for all the details! Lutheran Women's Missionary League [LWML] will hold their Fall retreat on September 23-24, at Camp Michindoh. Overnight accommodations include lodging and meals. RSVP through Becky Martinal at r.martinal@gmail.com. Want to make a real difference in the life of a child? Sign up today to be a part of VBS this year, June 26-30, 6-8PM. See our contact page to discuss how you can be a part of this great event.